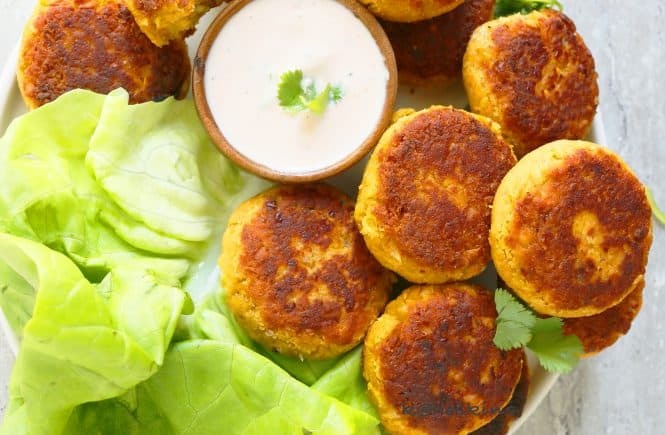 Perfectly deep golden crisp exterior and a soft inside,this pan fried falafel with carrot and a spicy yogurt sauce is great as appetizer or snack or even a light meal with a side salad. Ain’t your traditional falafel recipe!!! It begins with canned garbanzo beans for convenience and made with carrots for additional deliciousness and nutrition. 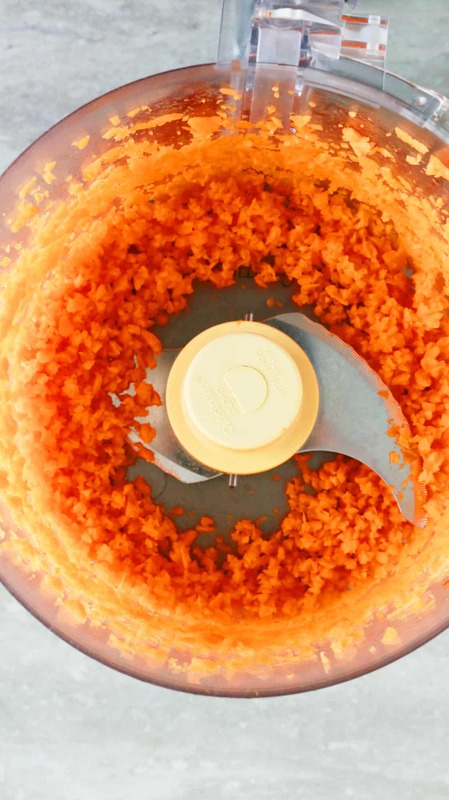 Coarsely grind one medium carrot in a food processor (refer pictures). Add canned garbanzo beans (drain, rinse and pat dry with flour paper towel), onion, garlic, red pepper flakes, salt and some breadcrumbs and flour for binding. 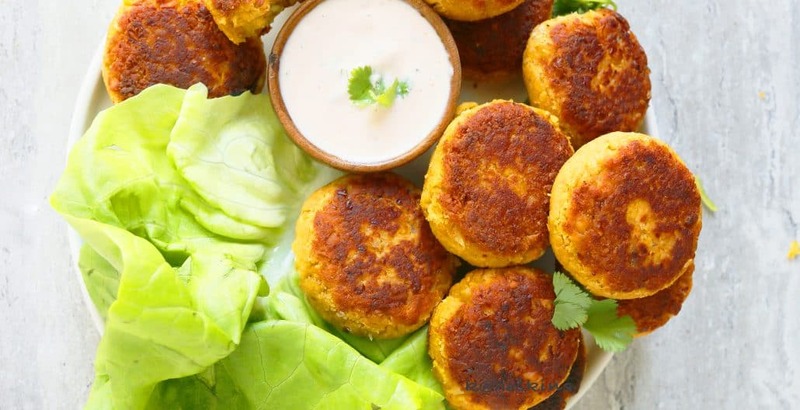 Shape into falafels, fry ’em in a saute pan on both sides. 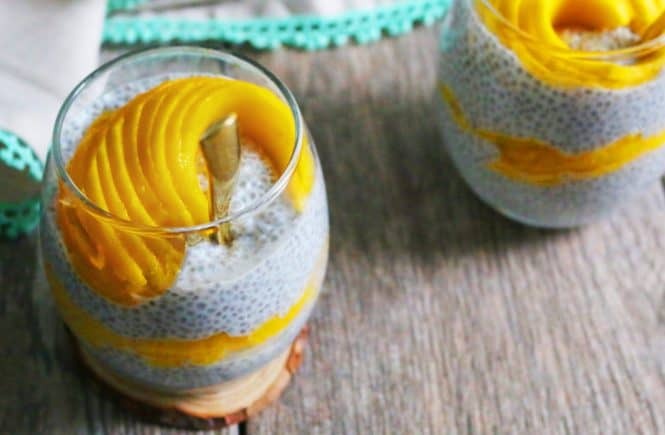 I make these often for the kids and it vanishes (I reduce Sriracha) in a jiffy <—— such a healthy snack. Also, a great lunch box option : I process and shape falafels and make sauce the previous day, store both in refrigerator. 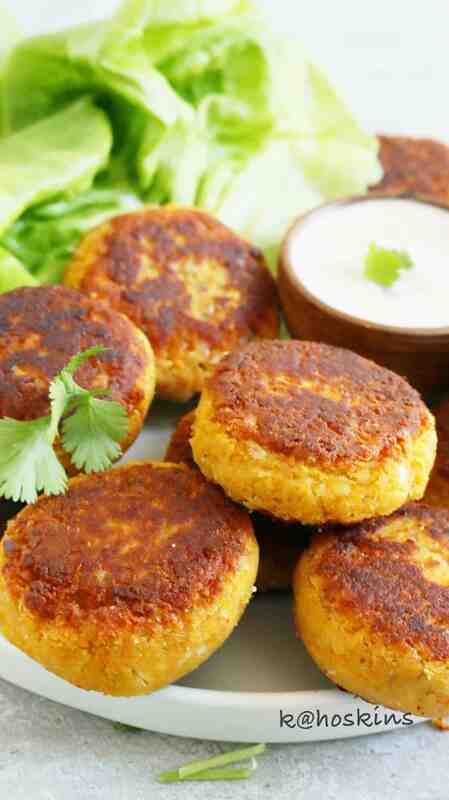 Fry the falafels in the morning and pack them into lunch boxes with Sriracha yogurt sauce in small shot containers. 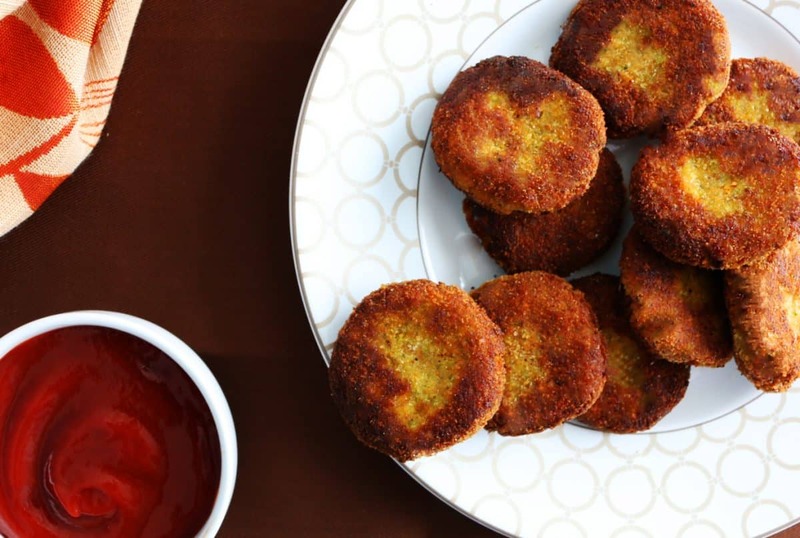 If you like this easy pan fried falafel, then you will totally love Baked beet falafel. 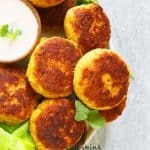 Perfectly deep golden crisp exterior and a soft inside,this pan fried falafel with a spicy yogurt sauce is great as appetizer or snack or even a light meal with a side salad. Add all the remaining pan fried falafel ingredients (except oil) and process for about 15 seconds, until it starts to gather together (turn off machine once in between, stir mixture with a spoon). Divide mixture into about 2 tablespoon measure portions, roll each portion into a ball and then shape into 1/2-3/4 inch thick disc. Heat about half the vegetable oil in a medium non-stick pan over medium heat. 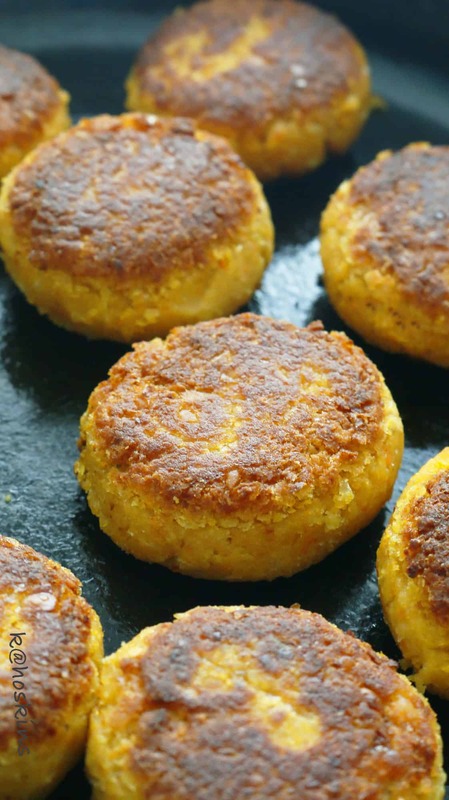 When oil gets moderately hot, cook half the falafel until deep golden on both sides, about 2-3 minutes per side. (Use a flat spatula to turn the falafel and be gentle, so it won't break). Transfer falafels on to a plate. Repeat process with remaining falafels. Serve hot. 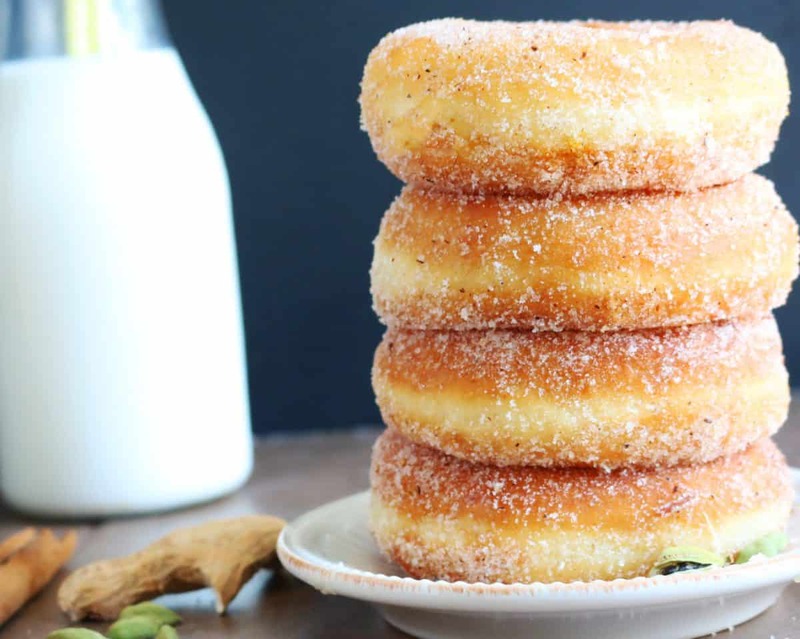 It is best when eaten hot, but room temperature ones will be a touch softer but still delicious. 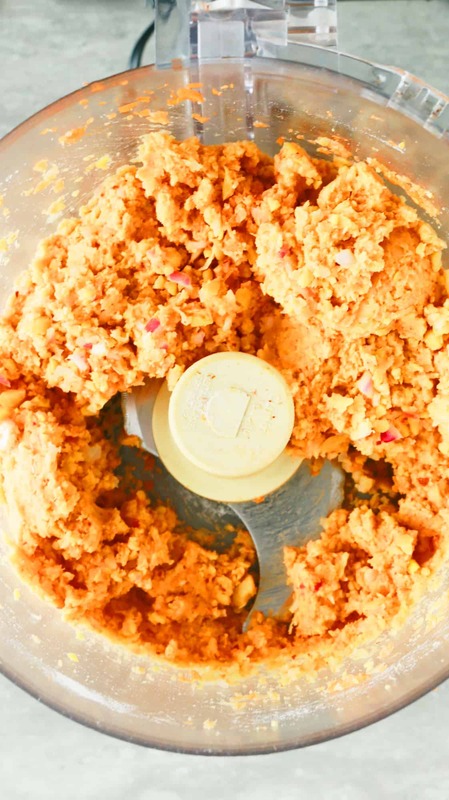 Stir all ingredients together (can be made ahead and stored in the refrigerator). Looks amazing Maria! Perfect snack for meeee! 🙂 Happy Cinco de Mayo! !